Swiss artist Elisa “El” Frauenfelder is known for her paintings and drawings that depict bare landscapes, as well as towns, houses, and interiors. From Helsinki to the plains of South Dakota to the Swiss countryside, she has taken inspiration from her surroundings for a wide variety of new motifs. Working in a rapid alla prima process, she applies paint with a palette knife and scrapes the canvas to achieve a raw and direct presence in her art. At times somber and dark, other times gaudy and lurid, Frauenfelder’s paintings never fail to command attention with their careful orchestration of color, motif, and shape in contrast with their sketchy, open brushwork. 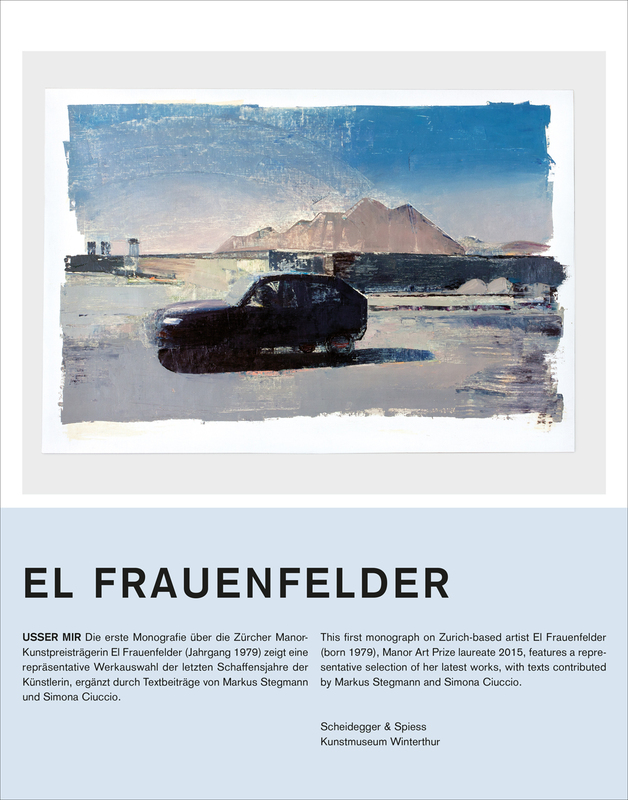 Published to accompany an exhibition at the Kunstmuseum Winterthur, Switzerland, El Frauenfelder analyzes the most recent works by this remarkable young artist. The book includes eighty full-color illustrations and essays by art historians Markus Stegmann and Simona Ciuccio.